The Mediterranean is a unique area when it comes to gastronomy. There converge the best products of what is considered one of the healthiest diets in the world, with olive oil and vegetables as central elements of their recipes. Barcelona, as undisputed Mediterranean capital is, as well as a design city, a gastronomic city. There you will find many restaurants of all styles providing a unique offer to those travellers who love good food. A gastronomic getaway to Barcelona is undoubtedly one of the most fashionable plans at the moment. Autumn is one of the seasons of the year with more flavours and more traditional culinary proposals, with delicious mushrooms and vegetables in all the traditional dishes. If you decide to search for accommodation in the centre of Barcelona, keep it simple and opt for hotels close to La Rambla, hotels close to Las Glorias Square or in Raval or Barrio Gótico, where without having to make long trips you can find a wide variety of gastronomic plans ranging from appetizers and vermouths, to tapas and authentic banquets with rice or paella parellada. Escudella, carn d’olla and vegetables stew are essential dishes in these months and enjoying them is a real pleasure if you choose lifelong sites, giving up design and trends: you only have to enter a lifelong restaurant or bar to know that there you will savour the traditional cuisine, full of stories of the city, allowing you to combine the experience of the food with the knowledge of the environment and its people. Being captivated by the stomach is really simple in this great capital. From their breakfast, where pa amb tomàquet and coffee with milk cannot miss, to tapas of freshly made escalivada. The area surrounding MACBA, the streets surrounding La Boqueria – and, of course, the market itself-, the new neighbourhoods of Poble Nou… Any area can be a first-class gastronomic destination. Just opt for traditional without giving up food spaces that propose, on that basis, touches of innovation. Famous is, in this sense, the Tickets Bar restaurant, an excellent spot with 6 signature cuisine’s tapas bars in which you need to book months in advance. Including it in the gastronomic program is really worth since its tasting proposal allows a much varied tour around the local cuisine, without leaving aside what is new and more international. Exquisite classic and fusion tapas. It is located next to Poble Sec metro station and is considered today one of the must visit restaurants in Barcelona. If you want to make the experience complete, before booking a hotel in the centre of Barcelona, check out those accommodations that have the best gastronomic offer in the city: in this way, you will have access to their cuisine, booking easily and, surely, at a better price. Some suggestions are, for example, the Catalonia Barcelona Plaza, a hotel with Mediterranean restaurant in Plaça d’Espanya, Barcelona: the name Filigrana hides a gastronomic proposal where the natural charcoal grilled meats are a must. 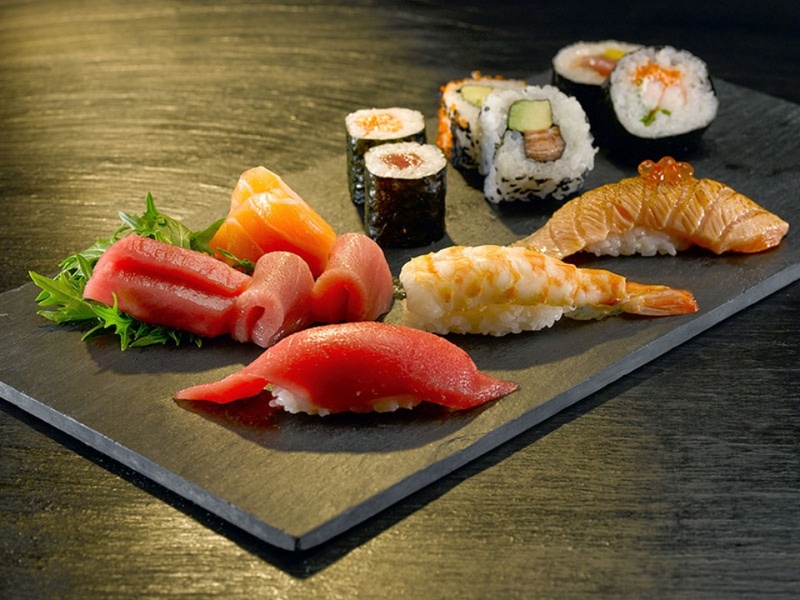 In addition, the hotel cuisine offers a second restaurant, in this case of Japanese style, which is considered one of the best in Barcelona.